Thomas Vasen discusses the scale of today’s data management challenge and how this is resulting in mediation becoming the data integration hub for customer experience. As next generation communications networks proliferate, the need for mediation systems to address OSS-related use cases is becoming more common than the requirement to meet traditional BSS-related requirements cases like processing billing data. With more and more individualized and complex service packages prevalent in today’s market, the need for CSPs to understand their subscribers’ experience is increasing. The view they need must be delivered regardless of the technology or network the service is delivered over, and it serves as a means of managing customer satisfaction and by extension reducing churn. 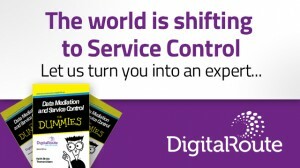 Download DigitalRoute’s eBook Data Mediation and Service Control for Dummies. The anticipated explosion in 4G/LTE network launches in 2015 will accelerate this shift. LTE subscribers are projected to reach 198.1 million according to an IHS iSuppli Wireless Communications Special Report. By 2016, LTE will have more than 1 billion users, equivalent to a five-year compound annual growth rate of 139 percent. But it is primarily driven by the fact that competition among service providers is no longer exclusively based on price. Quality of Service, Service Differentiation and other parameters are now emergent as keys to winning and retaining market share. Given the greater number of network cells in operation today the volume of OSS-related event activity is increasing exponentially with more handovers and a higher risk of failure across the board. This trend is also fueled by longer subscriber sessions, as data is “always on” and the concept of ‘disconnect’ has more or less disappeared. Furthermore, LTE network design adds challenges of its own, introducing a flatter network topology with more intelligence in base-stations, and as a result causing the number of points from which to collect quality records to increase by a significant multiple. Put simply, in the context of today’s industry, there is a significant data management challenge that results in mediation growing significantly in importance. And as a result, mediation is now the data integration hub from which the customer experience will be managed and secured. Increased volumes demand extreme scaling. The volume of BSS records generated over 3G networks is roughly 10 times greater than the volumes generated over 2G. LTE BSS-related data volume is also approximately 10 times greater than its 2G counterpart. Records needed with LTE OSS are at least 10 times the size of their BSS equivalents, due to all the measurement information involved and available and the wider variety of collection points that need to be taken into account. Services on top of the LTE data barrier will report their own usage and quality information, resulting in a further duplication of records. Overlay this on global market activity and the size of the challenge comes into focus. According to the Cisco® Visual Networking Index (VNI) Global Mobile Data Traffic Forecast for 2011 to 2016, worldwide mobile data traffic will increase 18-fold over the next five years, reaching 10.8 exabytes per month — or an annual run rate of 130 exabytes — by 2016. These and other realities mean that “traditional” approaches to and applications of mediation functionality simply won’t accommodate the opportunity network evolution demands and provides to the Service Provider. Today, the ability to meet extreme scaling requirements has to be considered “table stakes” for mediation to play its correct role in modern BSS infrastructures. The era of mediation as little more than a “beast of burden” antecedent to billing and rating are over. While this truth is partly expedient; fuelled by the simple need to access an IT system that can manage the sheer tidal wave of data and direct it to its correct destination, the reality is that it also falls to mediation to make that data valuable. Increasingly, that means valuable for billing; for network assurance; for service assurance, and for other use cases too, some that may even, as yet, be unforeseen. Customer Experience is managed at the intersection of all of them. MediationZone from DigitalRoute is uniquely placed among mediation products to address these requirements, enabling the required processing to take place in real-time or batch environments, and in the process merging the old worlds and the new into one consolidated end-to-end subscriber focused view. This book will give you an immediate, worry-free grasp of the key points so that you can understand what mediation contributes to the world of modern business. 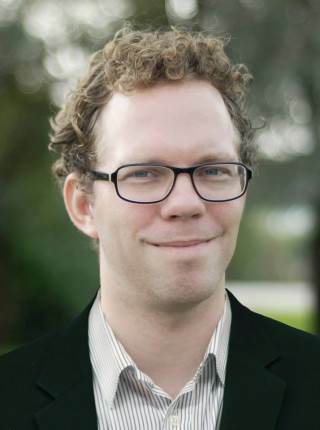 Thomas Vasen, Vice President Product Management & Marketing at DigitalRoute. Thomas has over 17 years operational experience with product and service development in the telecoms industry. Most recently responsible for solution development at service assurance pioneer Polystar OSIX, before that he was an entrepreneur in a series of Voice over IP start-ups at operators in Europe. At B2 Bredband AB, the largest ETTH broadband operator in Sweden, he was responsible for the setup and operations of the 1st primary line local-loop replacement service launched on the SIP technology in the world. Thomas has studied at the Erasmus University in Rotterdam and at the London School of Economics.